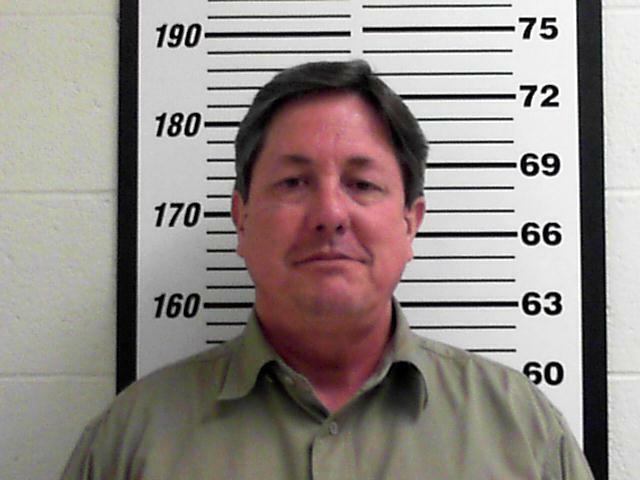 ST. GEORGE — Lyle Jeffs, who has been running the day-to-day operations of the Fundamentalist Church of Jesus Christ of Latter Day Saints polygamous sect, will have to wait for U.S. District Judge Ted Stewart’s decision to find out if he will be released from jail. Lawyers for Lyle Jeffs, the last defendant still jailed after the arrest of 11 FLDS members in February federally indicted on allegations of diverting at least $12 million worth of federal benefits, have asked Stewart to reverse Magistrate Judge Dustin Pead’s March 7 finding that no set of conditions could reasonably assure the defendant’s appearance in court for trial. Fox 13 News reported that federal prosecutors in court Wednesday pushed to keep Jeffs in jail by arguing he still exercises great influence over the FLDS community and could interfere with witnesses or flee. Defense attorneys countered with a religious freedom argument — that the FLDS Church believes in “consecrating” things to their united order. Read more in this Fox 13 News report. Stewart said he would need time to analyze hundreds of documents submitted by the prosecution and the defense before making a decision. 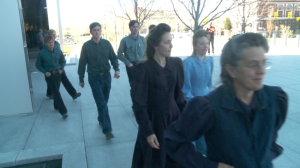 Wednesday’s hearing in Salt Lake City came with increased attention amid speculation that Warren Jeffs told FLDS members that an apocalypse would occur April 6, a date FLDS members believe to be Jesus Christ’s birthday. The FLDS church is an early 20th century offshoot of The Church of Jesus Christ of Latter-day Saints, which disavowed polygamy more than 100 years ago. Members of the polygamous sect reportedly said they have been told that “it has been prophesied” that earthquakes will split and crumble the walls of the Salt Lake City federal building where Lyle was scheduled to appear, and the walls of the Texas prison where Warren is locked up, allowing both men to be set free. This latest apocalyptic-revelation is allegedly the third or fourth such prophesy Warren Jeffs has shared with his followers. At Wednesday’s federal court hearing related to the defense’s appeal of the defendant’s detention pending trial, Lyle Jeffs’ court-appointed attorney Kathryn Nester said her client is willing to accept conditions of supervised release, adding that anybody else charged with fraud and money laundering would be allowed out. The defense has argued that it’s unusual in the federal system to hold white-collar defendants before a conviction, according to court documents, and that Stewart shouldn’t make an exception in this case. Lyle Jeffs has no criminal record, the defense argued, and the prosecution’s evidence is outdated in regard to Lyle Jeffs allegedly helping his older brother, FLDS leader Warren Jeffs, evade law enforcement a decade ago. Warren Jeffs, who is considered a prophet by the polygamous sect, is serving a life sentence in Texas after being convicted of crimes related to marrying and sexually abusing underage girls he considered brides. Federal prosecutor Robert Lund said Lyle Jeffs has proven fiercely loyal to Warren Jeffs, according to court documents, and that he obstructed justice during the mid-2000s to help Warren Jeffs remain a fugitive after he was placed on the FBI’s Top 10 most wanted list. Fox 13 News reported as prosecutors brought up some evidence, Nester said Lyle Jeffs and other members of the FLDS faith attending the court hearing would object to what they heard because it speaks to their core beliefs. She asked that they be allowed to leave, and Judge Stewart allowed it. When prosecutors began to bring up dictations from Warren Jeffs talking about underage “marriages” within the polygamous church, FLDS members in the courtroom all stood up and walked out. Lyle Jeffs was escorted to a holding cell by U.S. Marshals, Fox 13 News reported. Federal prosecutors have argued that top FLDS leaders Lyle Jeffs, Seth Jeffs, John Wayman and Nephi Allred are a “serious flight risk” and should not be released before trial. However, Stewart has recently released three of the four men, reversing decisions by other judges to detain them. A four-week jury trial for all 11 defendants in the multimillion-dollar food stamp fraud and money laundering scheme is scheduled for May 31. The case will be heard in Salt Lake City’s federal court before Stewart. Persons arrested or charged are presumed innocent until found guilty in a court of law or as otherwise decided by a trier-of-fact. These goons are a embarrassment to the human species. It would have a mention on this site ? Any word on what Jeff’s spin is Now ? on April 7th ? sucking $$$$$ out of the feeble by talking apocalypse . so the scam kings just change the date & the fools continue to donate . What is up with that ? Altho the Jeffs seem more desperate to hump as many females as possible while sucking $$$$$ from taxpayers clueless to their crimes . I would say they are like dogs but that would be disrespectful to the canine species .